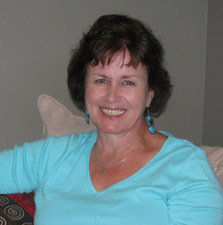 Sharon Arndt is an Occupational Therapist with several years of experience working with children in Saskatchewan in a variety of rural, municipal and northern communities. Sharon’s focus has been on individual needs of children, universal strategies and resources to support the development of all children, as well as providing educational sessions for teams and communities. Sharon received her Bachelors of Science degree in Occupational Therapy from the University of Alberta and has extensive continuing education training in the areas of sensory processing, fine motor skills, self-regulation and related classroom attention and learning.